Collins Booksellers - A Century of Maritime Science by Jennifer M. Hubbard, David Wildish & Robert L. Stephenson, 9781442617285. Buy this book online. Located on the Bay of Fundy, the St. Andrews Biological Station is Canada’s oldest permanent marine research institution. 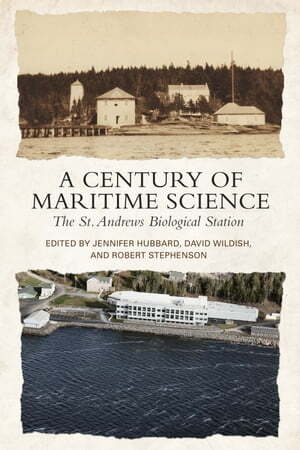 A Century of Maritime Science reviews the fisheries, environmental, oceanographic, and aquaculture research conducted over the last hundred years at St. Andrews from the perspective of the participating scientists. Introductory essays by two leading historians of science situate the work at St. Andrews within their historical context. With topics including the contributions of women to the early study of marine biology in Canada; the study of scallops, Atlantic salmon, and paralytic shellfish poisoning; and the development of underwater camera technology, A Century of Maritime Science offers a captivating mixture of first-hand reminiscences, scientific expertise, and historical analysis.